Mark joined Mackenzie Construction in 1989 as a Trainee Civil Engineer attending College on a day release he progressed through the ranks from site Engineer to Site Agent, Project Manager on to Contracts Manager before being appointed Contracts Director in 2017. 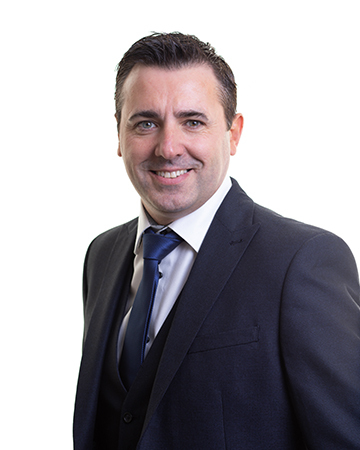 Mark has over 29 years of experience in civil engineering with extensive background in managing multiple contracts and building relationships which have led to successful frameworks being awarded and renewed across varying client bases. Mark is passionate about the people within the company and is keen to ensure the family values and sense of community he has experienced and enjoyed in his 29 years of the company remain one of its pillars during the company’s growth. His vision and willingness to embrace innovation has allowed the company to develop exciting new products, which will positively impact the environment and create sustainable solutions for the construction industry. Mark is also dedicated to and will continue to work with community outreach and employability programmes such as Canal College who the company partners until 2020. In his spare time Mark has recently become a keen cyclist and enjoys hillwalking with the 3 family dogs as well as spending quality time with wife, Mhairi, and girls, Charlotte and Carra.